Ready mix concrete batching plant can produce plastic, dry hard concrete, liquid concrete, light aggregate concrete and other type concrete. 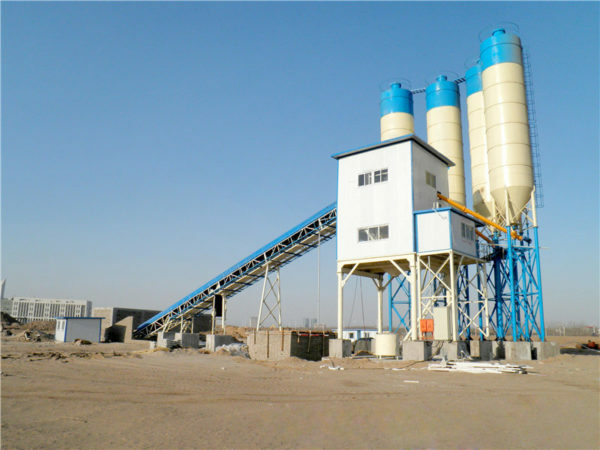 Usually, ready mixed concrete plant is mainly used to produce concrete. 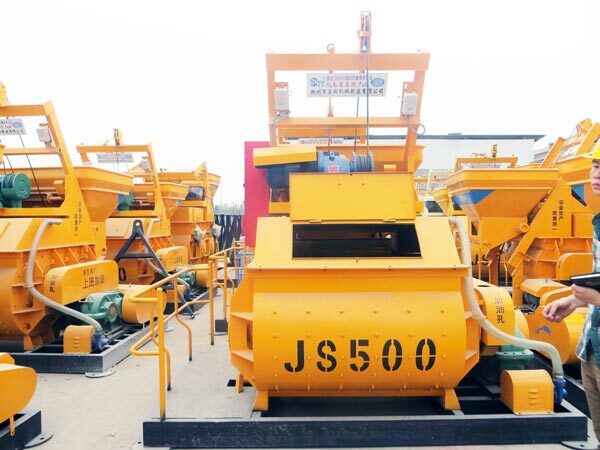 Because it can produce high quality product, it is the ideal machine for producing commercial concrete or self-using for own construction project. This kind of equipment is often used in large and medium-sized water conservancy, port, bridge and airport projects that has large amount of works, long construction period and concentrated construction sites. 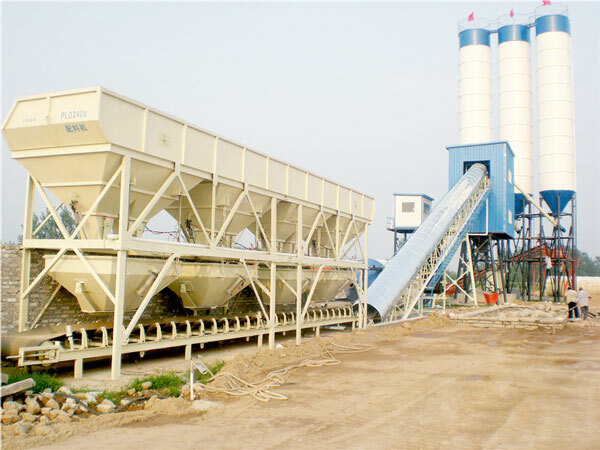 The specification of ready mix concrete batching plant is named according to its theoretical production per hour. At present, in China, the specification includes HZS25, HZS35, HZS50, HZS60, HZS75, HZS90, HZS 120, HZS180 and so on. HZS25 shows that the production of this ready mix concrete batching plant is 25 cubic meters per hour with twin shaft mixer. 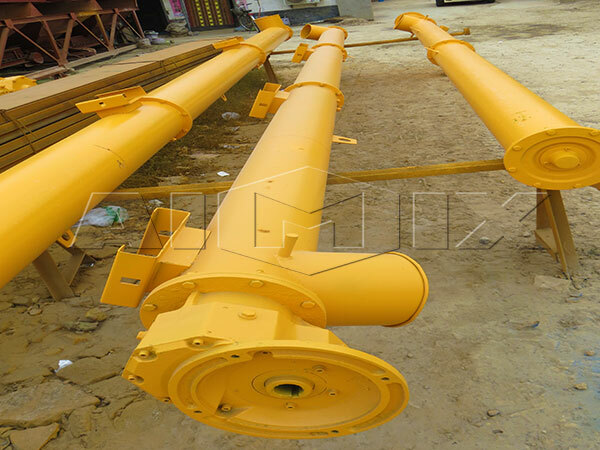 If it is single shaft mixer, its specification is HZD25. 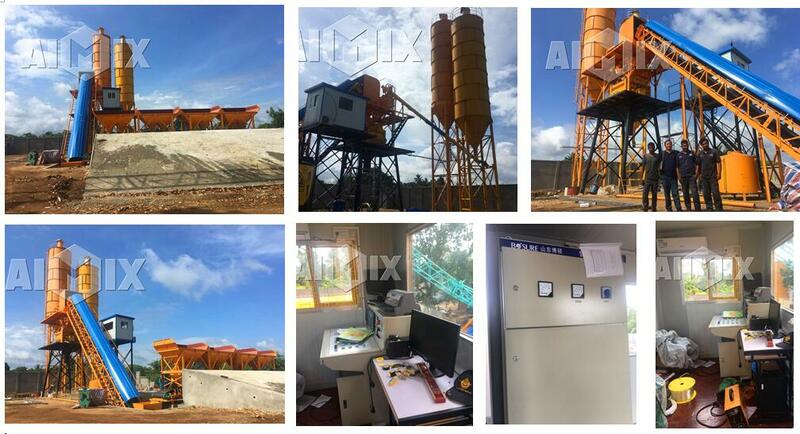 As a professional ready mix batching plant manufacturer, our Aimix Group provides you with various of models, including HZS25, HZS35, HZS50, HZS75, HZS60, HZS90, HZS120, HZS180, HZS240, etc. 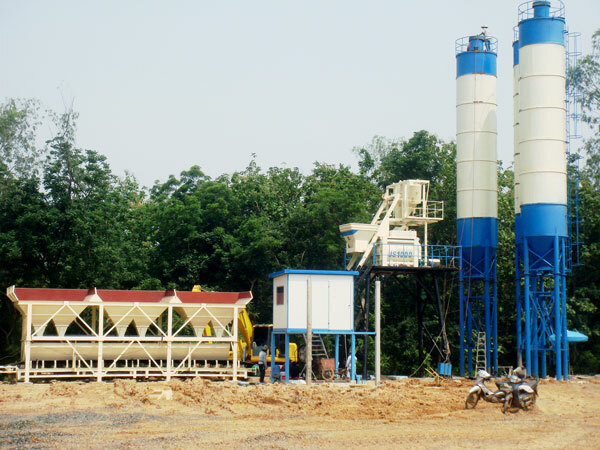 Of course, we can also customize ready mix concrete batching plant for your construction project. 1. The mixer of ready mix concrete batching plant adopts JS series double horizontal shaft compulsory mixer, which makes concrete have good uniformity and shorten the mixing time. 2. Components adopt imported famous parts, which can prolong service life of the whole machine and save your maintenance cost. 3. High automation, stable performance and simple operation. 4. Weighing system uses electrical weighing, computer control and digital display, which greatly improves accuracy and guarantees the quality of mixing concrete. 5. Our ready mix concrete plant adopts belt to transfer the materials. The biggest advantages of belt plant is environmental protection. It not only can reduce the materials waste, but also improve concrete quality. 6. The whole equipment is easy to maintain. All accessories are equipped with standard accessory in the same industry, which is convenient to purchase and replace. 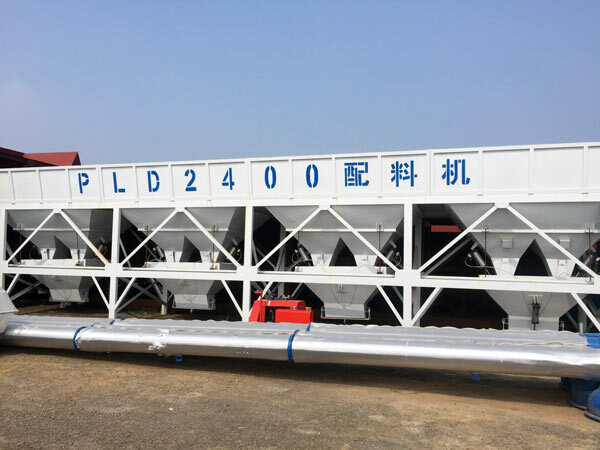 In recent years, ready mix concrete batching plant becomes more and more popular because of low working noise, low dust population and high productivity. 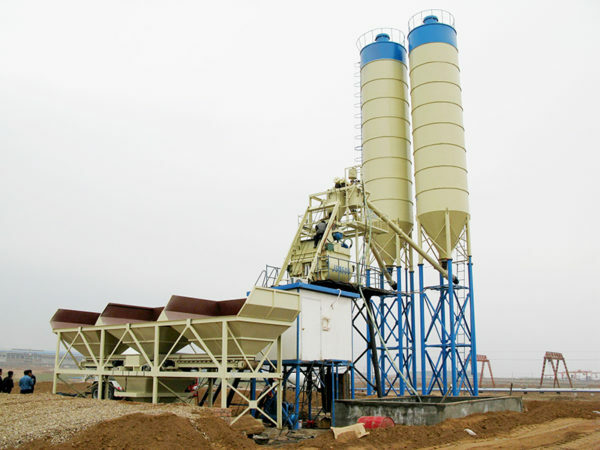 Moreover, ready mix concrete batching plant can produce high quality concrete. 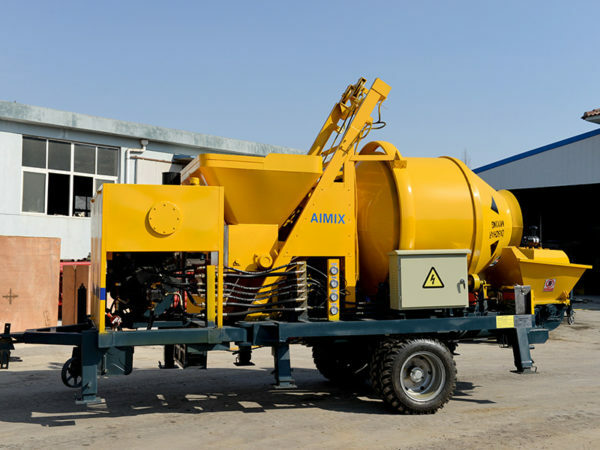 Our Aimix Group exports many ready mix concrete batching plants to all over the world. Up to now, we have been sent our product to Sri Lanka, Pakistan, New Zealand, Ethiopia, Tunisia, Turkey, Australia, Indonesia, Malaysia, Philippines, Uzbekistan and so on. Meanwhile, we also have kept good communication with our customers. If you select our company, we can provide you with high-quality product, reasonable price and professional service. 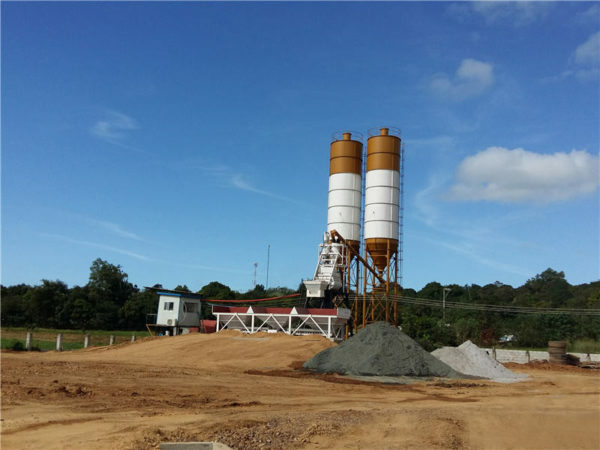 Few days ago, our HZS60 ready mix concrete batching plant was successfully sent to Sri Lanka. The following pictures were taken before transporting. After sending to Sri Lanka, our engineers help our customer test our machine. At the same time, they also help train the operator how to operate this machine. Our engineers will not return until they are sure that our machine is all right. 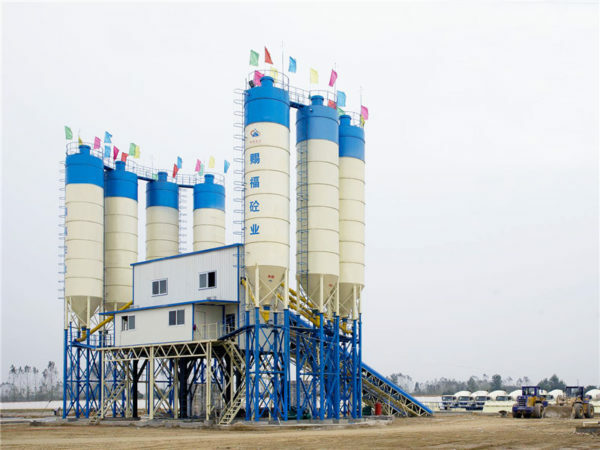 Therefore, if you want to find a reliable concrete batching plant supplier, please don’t hesitate to choose us. We believe that our product can satisfy you. Good news! Aimix Group HZS90 ready mix concrete batching plant was smoothly installed in Uzbekistan and worked normally. 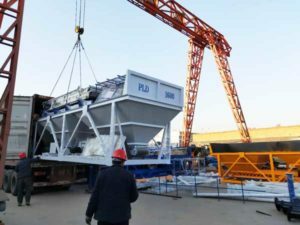 HZS 90 ready mix concrete batching plant has won high praise by our Uzbekistan customer because of its stable performance and low failure rate. 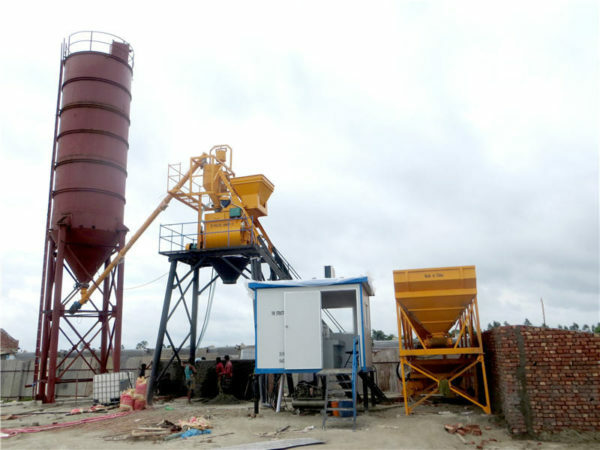 If you want to invest a concrete batching plant, ready mix concrete batching plant is an ideal choice for you. 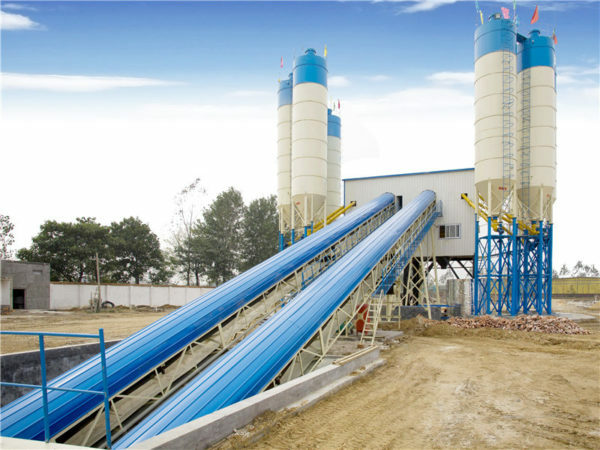 Components of ready mix concrete plant mainly include concrete batching machine, aggregate lifting system, cement silo, screw conveyor, weighing system, mixing system, control system and pneumatic system. 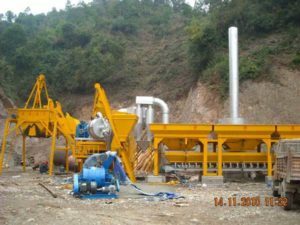 Concrete batching machine: Concrete batching machine usually weigh aggregate like sands and gravels. According to the method of measuring, it can be divided into separated weighing and centralized weighing of materials. The aggregate lifting system: The lifting system of aggregate can transmit the materials weighed to mixer or waiting hopper. The different is that the belt plant need to transmit to waiting hopper, while the hopper plant transports to mixer. Cement silo: Cement silo of ready mix concrete batch plant can store up the power like cement, grain and fly ash. The cement silo includes many different parts, such as dust-catcher, ladder, body of bin, level indicator and so on. Different parts play different roles. Just as level indicator, it is equipped with upper and lower material level. 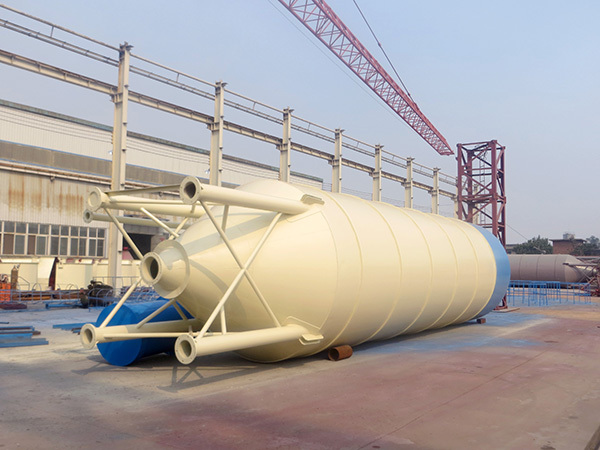 The powder is blown by the upper part of the cement silo, and the dust removal device is arranged at the top of the powder bin, which can reduce the loading pressure of the cement silo and prevents the dust from polluting the air. 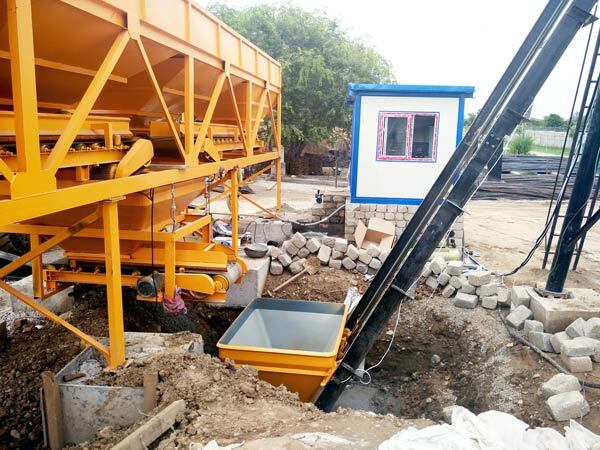 Screw conveyor: Screw conveyor of ready mix concrete batching plant for sale can transmit power stored on the cement silo to the matched weighing. It has some advantages. 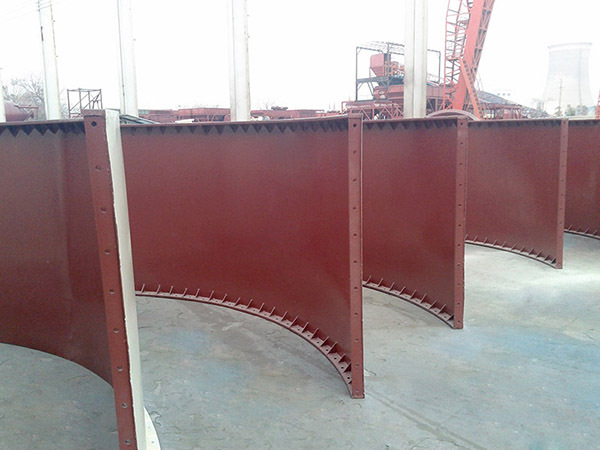 For example, it has simple structure, good tightness and low cost of manufacture. And loading and unloading are convenient. Weighing system: Weighing system of ready mix concrete plant equipment can weigh different materials, such as water, cement, additive, fly ash, etc. Mixing system: The mixer is the most vital part for the whole concrete batching plant. It is used for mixing all materials. According to the way of mixing, mixer can be divided into compulsory mixer and drum mixer. 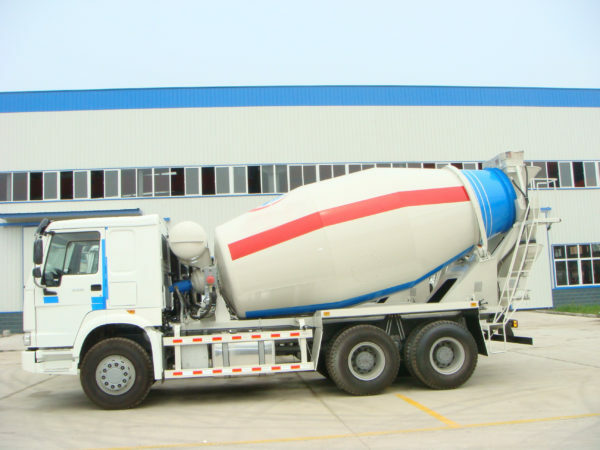 Whether at home or abroad, the compulsory mixer is mainly used, because It can mix variety of concrete, such as fluid, semi-dry and dry concrete. Compulsory mixer has three different types, twin shaft mixer, single shaft mixer and planetary mixer. Twin shaft mixer, possessing a better comprehensive capacity, are often used. Control system: Usually, control system of ready mix concrete plants includes automatic control system and semi-automatic control system. 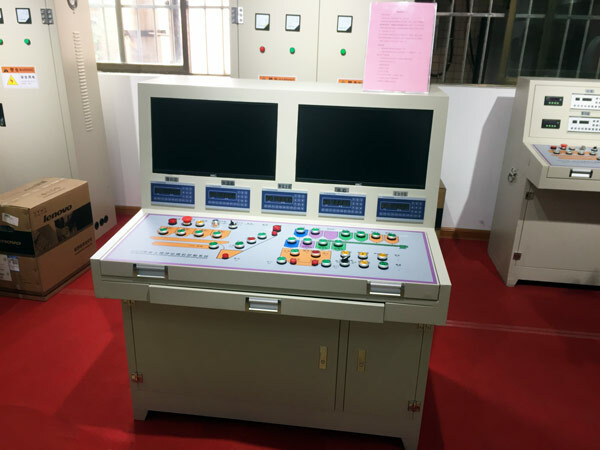 Automatic control system can be controlled by not only computer, but also control panel, while semi-automatic system only by control panel. This system is used to control the whole mixing plant. Pneumatic system: Pneumatic system can provide compressed air. Besides these components, some auxiliary devices are also important like loader vehicle, concrete mixer truck and concrete pump. Our company also produce these machine. If you have any need, please contact us right now. : 9th Floor, Building of Central China Electronic Commerce Port,Nansanhuan Rd and Daxue Rd,Erqi District,Zhengzhou, China. Get Price For Free !